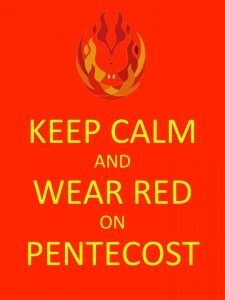 The spirit of Christ is on fire at St. John’s this Pentecost weekend! This Pentecost weekend, we’ll celebrate as usual, but with a little extra dose of the Holy Spirit: Our convenient community Holy Eucharist service at 5 p.m. on Saturday (May 14) and at 8 and 10 a.m. on Sunday. At 10 a.m., the St. John’s Choir will be joined by 25 members of The Episcopal Chorale Society under the direction of its founder, Dr. Chas Cheatham, and our own Bob Miller. After the service, all are welcome at a reception in the courtyard marking our 30th anniversary as a worshiping community in Rancho Santa Margarita. 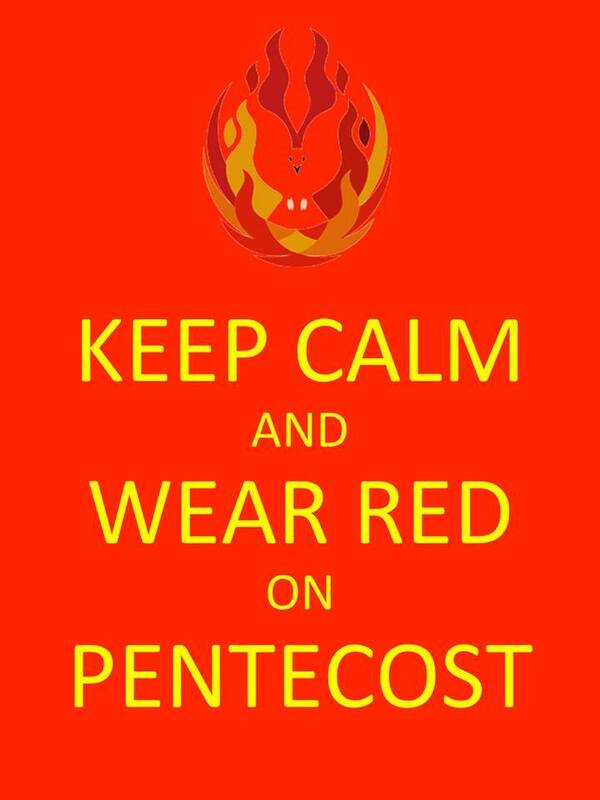 And don’t forget: It’s Pentecost, so please wear red, in remembrance of the flames of heaven that came down on the birthday of the church! We’ll also celebrate the spirit of welcome and interfaith friendship as we are joined in the 9 a.m. Christian formation hour by Sheikh Yassir Fazaga, religious leader of the Orange County Islamic Foundation in Mission Viejo, speaking in the multipurpose room about Islam. It’s the third installment of the Rev. Dr. Gerald Larson’s popular class on the third great Abrahamic faith. To make sure Sheikh Yassir has enough time for his remarks and your questions, we’ll begin promptly at 9 a.m.
First, please bring your food donations to church this weekend and, if schedules permit, volunteer this Thursday, May 19 at the RSM Food Pantry anytime between noon and 5 p.m. at The Bridge Church, 30162 Tomas Ave. For more information, contact coordinator Roger Bradshaw at parisbradshaws@me.com. Second, all are welcome at an organizational meeting for Corazon (where we help build a house for a family in Mexico) this Sunday in the Bishop’s Room after the second service. We have a build scheduled for Saturday, Oct. 15. If your schedule’s open, that may be a sign from the Holy Spirit! Please come and learn more. P.S. : Don’t forget to sign up this weekend for the men’s open forum (at BJ’s this Wednesday, May 18), our Spring Fling fellowship dinner (May 21), and the Angels v. Cleveland game (June 11).